Lawrence E. (Larry) Aten, an archeologist and 22-year National Park Service (NPS) veteran, played a key role in laying the foundations for the public policies and professional practices that today underpin the Park Service’s administration of the national historic preservation program under the National Historic Preservation Act (NHPA). In addition, he led its national effort to ensure submerged heritage properties were identified and considered in private offshore oil leases, prepared the World Heritage nomination for Cahokia Mounds, and authored the widely-acclaimed 1993 report of the Congressionally-chartered Civil War Sites Advisory Commission. Born in Jamesburg, New Jersey, and raised in Spotswood, New Jersey and Deland, Florida, his interest in archeology was sparked by the wealth of resources he observed in central Florida and reinforced when, before college, he worked on a crew investigating Tick Island in the St. Johns River in central Florida. The site not only inspired his life-long interest in archeology but revealed groundbreaking in our understanding better the nation’s pre-Columbian history in Florida and the Gulf Coast. After high school, Larry joined the Army and served in Korea and Japan as a petroleum quality control technician. This led to an interest in petroleum geology and a B.S. degree from the University of Houston in geology in 1969. One of his jobs during school involved crewing on ships mapping the floor of the Gulf of Mexico. Recognizing that his first love was archeology, Larry attended the University of Texas at Austin receiving a Ph.D. in anthropology in 1979. His dissertation focused on pre-contact Native Americans of the upper Texas coast and his approach was considered groundbreaking at the time. He was an early practitioner of geo-archeology which takes into consideration a wide range of factors being observed in addition to the archeological artifacts, i.e., geology, context, landscape setting, climate, etc. In 1972, NPS Archeology Division Chief Rex Wilson recruited Larry to launch and implement Presidential Executive Order #11593, “Protection and Enhancement of the Cultural Environment”. Later as deputy chief of the NPS interagency archeological services division, he developed the Service’s federal salvage archeology program. In the early 1980s, he was asked to prepare the World Heritage Site nomination for Cahokia Mounds east of St. Louis in Illinois, which was subsequently accepted by UNESCO. As offshore leasing in the Gulf of Mexico was ramping up, he organized and worked to have submerged archeological resources recognized by the federal leasing agency. The effort was successful, and today standard leases require that such resources be taken into account by lessees. From 1983 to 1994, Larry served as NPS chief of the interagency resources division in Washington, D.C., overseeing and establishing public policy for such nationally-recognized programs as: the more than $30 million annual appropriations to the Historic Preservation Fund, the National Register of Historic Places, the Resource Protection Planning Process (known as RP3), the American Battlefield Protection Program, the Cultural Resources Geographic Information Systems Unit (a pioneering GIS operation that oftentimes served parks), the Certified Local Government Program, and heritage programs targeted to Indian Tribes, Alaska Natives, and Pacific Islanders. 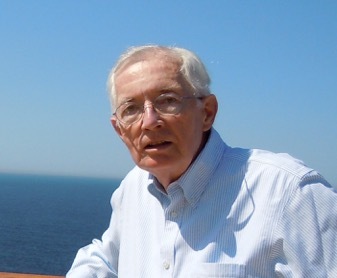 During this time, Larry served as executive director of the Civil War Sites Advisory Commission, a Congressionally-chartered, 14-member entity that was composed of several members of Congress and eminent Civil War historians such as Pulitzer Prize recipient James M. McPherson, NPS Chief Historian Ed Bearss, and others with deep knowledge of the Civil War including PBS filmmaker Ken Burns. Larry authored the unanimously-adopted 1993 report. Widely praised, it continues to guide Congressional and State policies. Taking early retirement in 1994, Larry returned to his first love—archeology—and continues to research, write, and consult. One project he was asked to do was a report on the Tick Island site he had helped dig as a young man. He is currently working on a biography of Clarence Moore, widely regarded as America’s first professional archeologist responsible for much of what we know about Southeastern archeological resources and also investigated Tick Island. Larry and his wife Carol Aten (also an NPS alumnus) live in Washington, DC. Larry is the father of two children and grandfather to four.